As usual for episodes with post-football coverage (Sunday’s had a 4.4 rating and 12.9 million viewers) beforehand, “The Simpsons” was boosted last Sunday, with the episode rising to 2.2/8 (2.15 unrounded) and 5.245 million viewers. 54% of the audience was aged 18-49 – 2.832 million. That figure is up on last week‘s 1.4/5 and 3.261m, but down on the second episode last year – which also had a football lead-in – which scored 2.65/9 and 5.997m, yet had a lower lead in of 12.5 million (but higher 18-49 demo of 4.6). 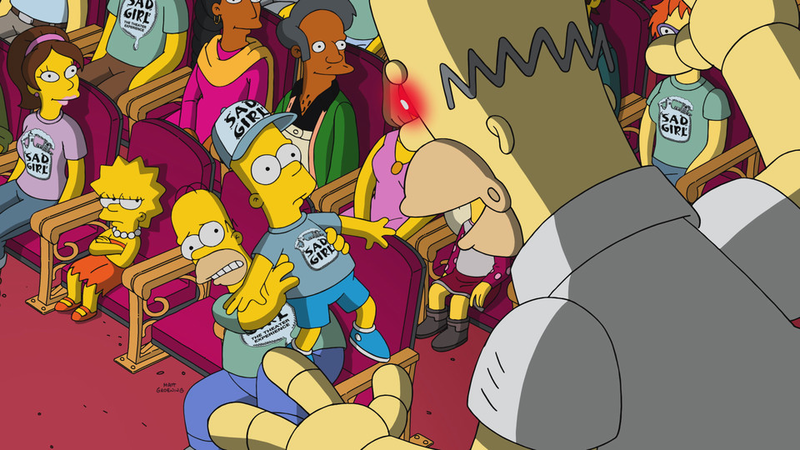 The higher-than-usual figure also meant “The Simpsons” accomplished the feat of being the top non-sport show of the night among the 18-49 demographic on both Fox and all networks, and was fifth in overall viewership over all networks for non-sport shows – all this despite airing against an estimated 23 million audience from the other three main networks, once again, a large chunk being pre-football coverage. An unusual element of Sunday’s schedule was that “Ghosted”, which airs after “The Simpsons” and provided an increased lead-in of 2.2 from 1.4, stayed static at 1.4, which it drew for its last episode. Another unusual element of the schedule was that the episode of “The Simpsons” on Sunday actually aired first in Canada! Catch-up news time, and after three days of catch-up viewing, the season premiere episode grew by 0.2 to 1.6, and slid to third for that Sunday night on Fox, with “Family Guy” at 1.7 and “Ghosted” at 1.8. In viewers, it also added 507,000 to 3.769 million, this time above “Family Guy” (+768,000 to 3.565m) yet below “Ghosted” (+1.2m to 4.782m). This Sunday’s episode doesn’t have a football lead-in, so expect it to be around 3-3.5m and below a 1.5 demo rating.